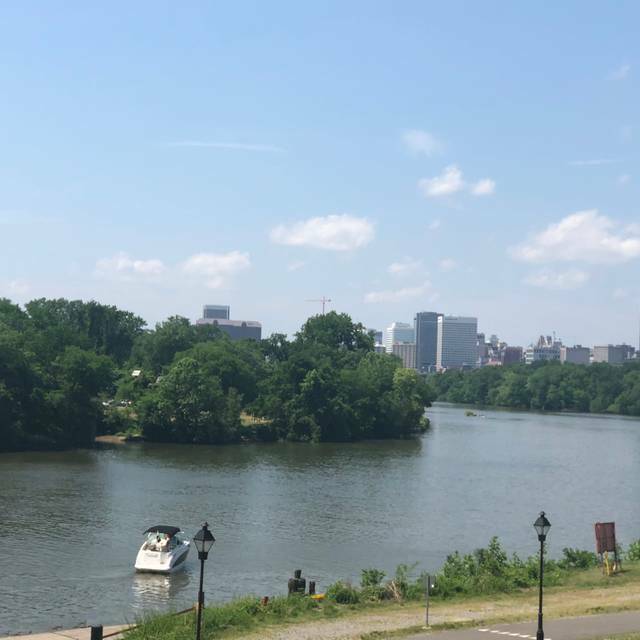 With private rooms for 16 to 200, panoramic views of the Richmond skyline and James River, The Boathouse at Rocketts Landing is a unique location for a special event. Antique brick, industrial steel, and a modern decor give your guests a glimpse of Richmond's rich history and vibrant future. Our Rocketts Landing location occupies the top floor of the restored Power Plant building, which sits on the James River and once provided electricity for Richmond’s trolley cars. 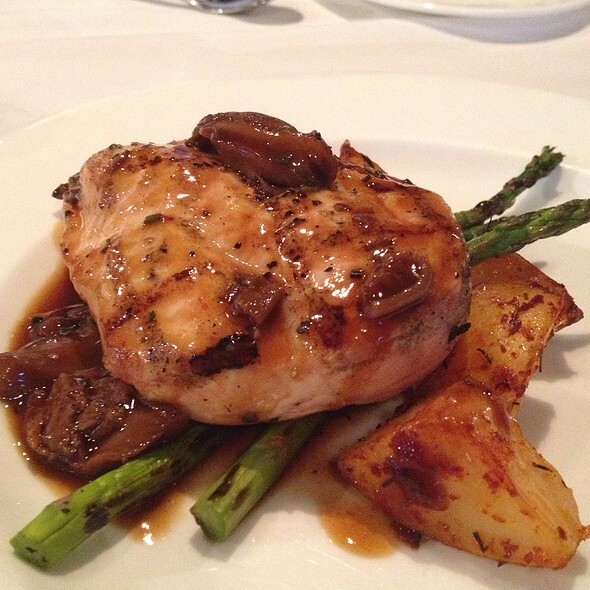 We specialize in seafood, wood-stone oven pizza, and locally-sourced signature entrees. And we can't forget the incredible view! We revisited this spot to support Restaurant Week and the sun was shining. 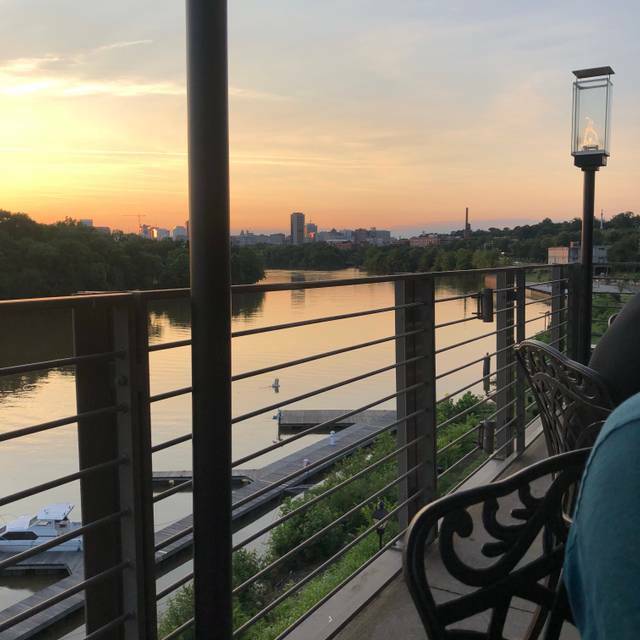 When that happens there is no better place in Richmond to be than the Boathouse at Rocketts Landing on the balcony looking toward downtown. You get the river , sunset and lights up on the skyline. Our beverage and food servers were above average in timing and attentiveness. Our food was good. It would be lovely if Riverwalk locations switched to paper drink stirrers, rather than plastic! (Perhaps some more veg menu options?) Time to go green! Other than this, the experience was lovely and the arugula blueberry salad was clean-your-plate delicious. Could not have asked for better sunset/river/skyline views and pleasant service. Thank you for your feedback, Alex. Glad you loved your salad and enjoyed your experience. Take care! If Easter buffet was a good indication, this place is amazing! We loved sitting outside overlooking the river, service was excellent, and everything I put in my mouth was delicious. Brunch was pricey, but we were willing to pay it for special occasion. Thanks for sharing your Easter experience with us! We had the Easter buffet brunch and it was delightful! While on the pricey side worth the experience and a family favorite! Thanks for choosing to spend your holiday with us! We enjoyed Easter Brunch and were delighted. This was our first visit to the Rockets Landing Boathouse and will return. The buffet was delicious with a wide variety of offerings. Everything was fresh, hot and flavorful. Our server was friendly and didn’t rush us. Truly a special event and a lovely way to spend a holiday. So thrilled to hear your holiday was enjoyable. We can't wait for your next visit. Since moving to town a year and half ago this has become our new go to for holiday meals. Food and views are always amazing. We love celebrating holidays with our guests! Hope to see you for Mother's Day brunch buffet. It seems that lately going to dinner here means that it will be difficult to have a conversation with anyone at your table unless you yell into their ear. You can’t beat the views and the staff is always friendly. The food is usually really good, though this time one of our meals came out late and cold, like they forgot it. It was really busy and we had a large table. I still highly recommend this restaurant if you’d like a cool experience. Hello, we appreciate your honesty and learning where we need to improve. Thank you for still recommending us! We have been here before but today the service was just ok and for the money the specials were not a good value at all. Just a decent 14oz NY strip and 2 shrimp is not worth $48. Should have gotten something else and left the steak to a real steakhouse. It was loud and while the view is good the food quality and service don’t match with the price paid. We will skip this place in the future. Great service, loved the appetizers. We've dined here in the past for special occasions so had high expectations for my mother-in-law's 81st birthday dinner. It was the Saturday before Easter Sunday and at 6:00 p.m. the place was packed and LOUD. We were seated by the window and until 6:30, the sun was blindingly bright and uncomfortable. There is no remedy, you just have to suffer. Ashley was a good server and very helpful with making sure I had cash to pay the parking attendant. For the price of this restaurant, you'd think parking would be complimentary, but it is not, and it's cash only so be prepared. Could they at least tack it onto the dinner bill since alot of people (me included) don't carry cash? The food was just ok and that was a disappointment. Scallops, filet Oscar and a 12 oz filet with roasted asparagus, potatoes. Nothing special, just ok. Bar service was slow, and that was not Ashley's fault. We ended up yelling across the table at each other to be heard over the din, and then they turned the music on! Crazy. We won't be back. There are too many other options in RVA at this price point that are better than this. And that's too bad. We're so glad you enjoyed your Sunday brunch! Thank you for finding the time to leave us a great review. So, what is not to love about Rockets Landing Boathouse....sitting outside on the RIVA and partaking in those wonderful 1/2 carafe brunch cocktails! Fabulous. I would stay away from the make your own omelet and opt for anything seafood. The Calamari here is fresh, cooked right and the aoli accompanying it is on point (and I try calamari and mussels everywhere). The green goddess oysters so yum, and the mussels also a big win. IF you must the hamburger is good quality...been a minute sine I had last visited and I can say I was pleased. Thank you for the great review! Our aoli, as well as all of our sauces, are made in house, can you tell?! So glad you enjoy dinning with us. Take care! Four of us went for a birthday brunch. We had a nice booth by the window. The server was pretty slow getting things started. She brought water and then left for what seemed like a long time before taking drink order. Once we ordered drinks, 2 bloody Mary’s and 1 glass of wine, again it took a while but finally the server returned with just the wine saying the bar would have the drinks ready soon. It wasn’t particularly busy, so there was really no excuse for drinks taking so long. Fried calamari was definitely the highlight of the meal. Bread came to the table only after we had to request it. This is so dumb on the part of a restaurant to require that people order bread! Other than calamari we each ordered salads - all were pretty ordinary, nothing at all special. Salads are easy to make great and there are so many fabulous salads served in Richmond, this was pretty disappointing. I won’t bother to return - it’s too bad because this is one of the only riverfront restaurants we have. This was my first time, but expected more out of the food. I had Shrimp and Grits with little Grits "not expensive " and shrimp was overcooked. The Crab and Artichoke dip was weak on artichoke and crab. Chalk it up to a bad night and try again. Best place for the money. Food was exceptional. Best service by far. Hi Jenny, we're glad Sherif made a lasting impression on you. We can't wait to see you again. Overall it was a very pleasant fine dining experience. Ashley, our server, was phenomenal. She was extremely attentive, yet not overbearing, while simultaneously managing numerous tables. My lobster, spinach and potatoes were perfectly prepared & presented. I would have granted 5 stars, but my "Peach" Bellini was filled with Strawberries (no peach) and my filet (requested to be prepared Medium) was charred giving it a more burnt taste. I am excited to return for Sunday Brunch. Besides, I love the Boathouse! We appreciate your honest feedback and learning where we need to improve! Thank you for being a returning guest with us, we look forward to seeing you again soon. Take care! The bar service was very slow. As soon as I received my drink I put in an order for another one. Not my waiters fault. Food and service was highly exceptional. Would recommend to anyone visiting Richmond for the first time. Thank you for the recommendation, Lisa! Great food. Excellent friendly service. Just a bit on the expensive side. Great place for either drinks on the balcony overlooking the river or a nice sit down meal. Friendly service and good food! How cool that you can dine with us for any occasion! Thanks for the great review. Sunday Brunch fare. While the food was good the Waffle Bar and Omelette Bar was poorly ‘set up’ and rather chaotic as to was supposed to stand ‘where’ while waiting for their food. Also interior testers very noisy. Six friends getting together after not seeing each other for over two years. One couple was up here from SC. The woman had recently finished up a grueling six months of chemo for Stage IV cancer. We had a chance to all catch up and offer our support and love all in an atmosphere that was very comfortable It was a wonderful experience and we all had been there in the past. Always impeccable service and food so delicious. Love the coffee presses. Our only negative is that the music is a bit too loud making it difficult to converse and hear each other without straining. Wow! What a special occasion, thank you for choosing to celebrate with us. We appreciate your feedback regarding the music volume. Thank you for the compliments to the cuisine and atmosphere, we can't wait to have you back. One of our most favorite places in Richmond. lways treat out-of-towners to this venue. Thanks for bringing your out of town guests to dine with us, what an honor! See you soon. Came to celebrate our sons birthday. Had appetizers and desserts. All were amazing! 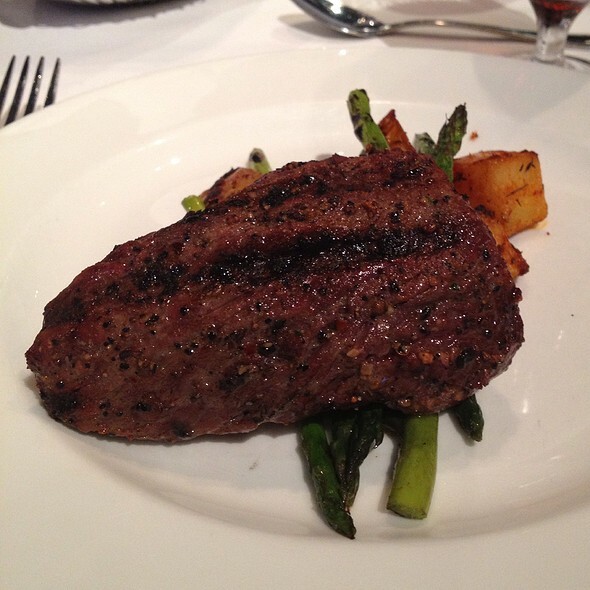 We love celebrating those special occasions with our guests, glad to hear your food was amazing! Great food & fantastic view. It's a little on the pricey side, but not too astronomical. The ambience and service were great. It was almost warm enough to sit outside by the river and in hindsight, I almost wish we had, so that's reason enough to go back. We hope you join us again for the patio experience! Good food and great service. Would eat there again. 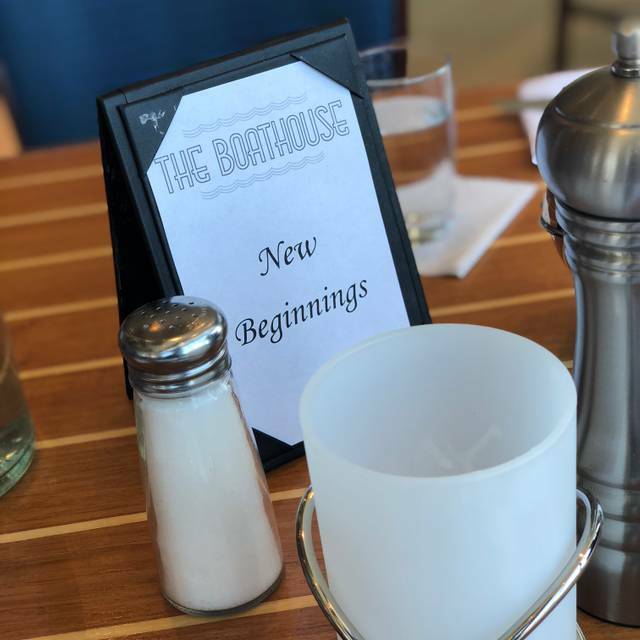 I would recommend The Boathouse. The crab cakes are out of this world. The view, especially on a nice sunny evening, is spectacular. Service is excellent. The noise level might bother some people, but we did not have trouble hearing each other. We were there on a Sunday evening. Hi there, we appreciate your honest feedback. Crab cakes are our specialty, so glad you enjoyed them! And the sunsets on the James river with the city skyline can't be beat! We hope to see you soon. Hi Kelli, thank you for the 5-star rating. We apologize for the inconvenience on Sunday visit, our demands were higher than we could have expected for National Oyster Day! We hope you give us a second chance. Outstanding as usual. The Boathouse staff made a special evening an exceptional one. Thank you. Thank you for your review and for being a returning guest with us! Service was great, as well as the food. Upon arriving for our reservation we found out they were about 30 mins behind schedule. They went above and beyond to make sure they made up for the delay. Would highly recommend! Hi Connor, we apologize for the delay with your reservation time but we're happy to hear you were well taken care of. Thank you for your understanding. We can't wait to have you back! The food, service and view was fantastic. The restaurant was very noisy. That may have been because it was brunch. Hi Dustin, we're glad you enjoyed your food. We recommend requesting a table outside where it is less noisy. Hope this helps! Our Sunday brunch was very good as usual, great omelettes and sides available. I was disappointed to see price increases on the dinner menu, especially the $10 jump to $79 for the chilled seafood platter which is one of my favorites. May have to forgo that in the future. Hi, Mike, Thanks for your review. We're glad to hear you enjoyed brunch. We appreciate your feedback on the cost of the chilled seafood tray. Expensive and food was nothing spectacular but tasted good. If you want the ambience/atmosphere of eating by the water it's ok. Would not recommend for the food. Parking is bad, you will have to pay for valet on a weekend. This is the best place to eat out in RVA!! My husband and I only go out to eat on a special occasion. We both are weight conscious and I love to cook. So when we do go out to a restaurant, I want atmosphere and delicious food. It's also nice to be served ...This place is always our fav. Hi Linda, thank you for taking the time to review your experience with us! 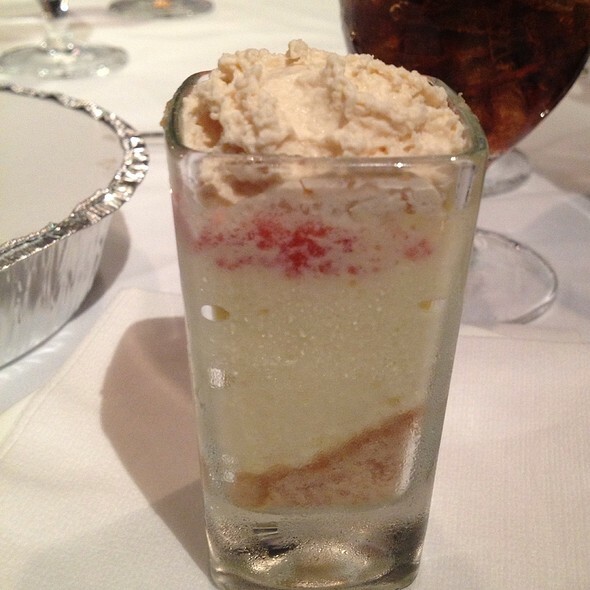 We're so honored to take care of you on your special occasions.